After an addition was built onto their home 50+ years ago, homeowners in Anoke, MN were beginning to notice cracks in their foundation. The TEAM came out and installed a piering system and were able to repair the foundation walls. 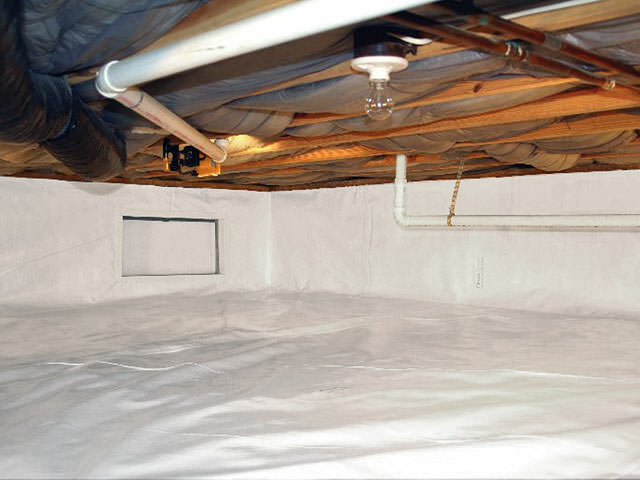 Homeowners in Ramsey, MN contacted Innovative with concerns about their bowing basement wall. 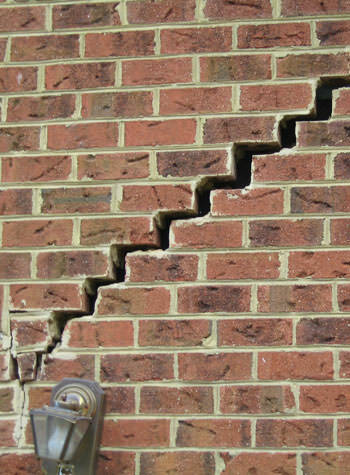 When the system design specialist arrived at the home to evaluate the situation, he also discovered the wall was beginning to crumble. To fix the bowing wall, the TEAM installed wall anchors to pull the wall back into place. To fix the crumbling issue, the TEAM applied shotcrete to the wall. Homeowners in Anoka, MN noticed their foundation wall was bowing in about half an inch. To prevent further damage and to stabilize the wall, the homeowners contacted Innovative. The TEAM then went in and installed PowerBraces as a permanent solution to the problem. I purchased a home without gutters, the rain has washed away around the foundation and caused some cracking and sagging of the floor inside. I think I have a slab foundation. Contact information for someone who can prepare a quote for us. Our Purchasing Department would be sending out a Request for Quote to for repair of a fishing pier along the Rum River in Anoka MN. Currently has concrete footings, want to remove those and install helical piers for better stability. Thanks. Chimney is starting to separate away from my house. House age 30 + years. The installers were very good - showed me what they were doing. Very professional and easy to work with. Answered all of my questions with clarity. Highly recommend Emmit and his crew! Prompt and work was completed on time. Nothing but great things to say about Dan and Andrew - very happy! You can certainly use me as a reference! Very happy with the results! Eric (Wicktor) did a great job! He should get a honey baked ham as a Christmas bonus! The people who did the work were very knowledgeable, respectful. If I knew anyone or if we ever needed this kind of work again, would not hesitate to call you folks. Excellent service from Innovative Basement Systems. Dustin, Kelly, Matt & Jamie were AWESOME! Thank you ALL! Great experience working with IBS. Very friendly and thorough! Our basement looks great & they cleaned up to perfection. Thanks for taking such good care of us regarding our new basement tile installation today! Emmett and his team did a great job, were very clean and respectful of our home, and very friendly! We couldn’t be more pleased at our decision to work with you on this project. Thanks for everything! The work appears to have been done well. Cleaned up and showed me all the work. Explained what I need to do from now on with the PowerBrace, sump and radon. So far, very satisfied with work and crew. Ruben, Glenn and Andy did a great job. They were friendly, quick and efficient. Any questions I had were answered courteously and completely. Excellent work by Emmit & crew, very professional. The crew members were great, I was very happy with their work. They were courteous and efficient. I will sleep better knowing my home's foundation is secure. Thanks! I'm so pleased with Innovative Basement Systems! Everything went seamless & all personnel were wonderful. I'll definitely use Innovative for any future basement needs. Thank you so much!!! Billy O. did an excellent job explaining the product and application process. I usually do DIY but this PolyLevel process will save me time and be a better solution. Even though the job started later in the day - they stayed into evening to get the job going and limit the inconvenience. Pleasant and careful workers. Did a very good job. "Ruben and Glenn were great. They showed me what materials were used, what was sealed up, and how much insulation was installed. Thanks for the hard work and great job done!" Ryan was great to work with & was on time & answered all of my questions. Also told us about a product that our salesmen didn't tell us about, which we will get done in a few weeks. "Wonderful to work with. Professional, prompt, hard working, answered all questions, explained functions, up keep of products. Except for jack-hammer, (which was no where as loud as I expected), work was done quietly - no yelling between workers. Super organized!!" Our project was explained, designed and executed beautifully. The result is a dry, wonderfully "clean air" basement. We are excited to finish off the lower level project for living space. Highly recommended! Scheduling took a long time, we were concerned it wouldn't happen. We do more than basements! Homeowners in Anoka, MN reached out to the TEAM at Innovative Basement Systems to see if we could solve their garage water problem. Brady Bergquist, system design specialist, visited the home and saw their tuck-under garage indeed had evidence of water. He recommended a FlowGuard drainage system and after installation it was good-bye water! I need foundation work done on a home I just purchased. It was built in 1809 and has about a 10x10 basement. I'd like to get an estimate. Due to water issue, foundation in crawl space compromised, Partial collapse of cinder blocks but steel beam holding it secure. Patio sinks on one side 6x4 about two to three inches. Sidewalk about 4x4 sinks about one thing inch. Looking for pricing to install an egress window.